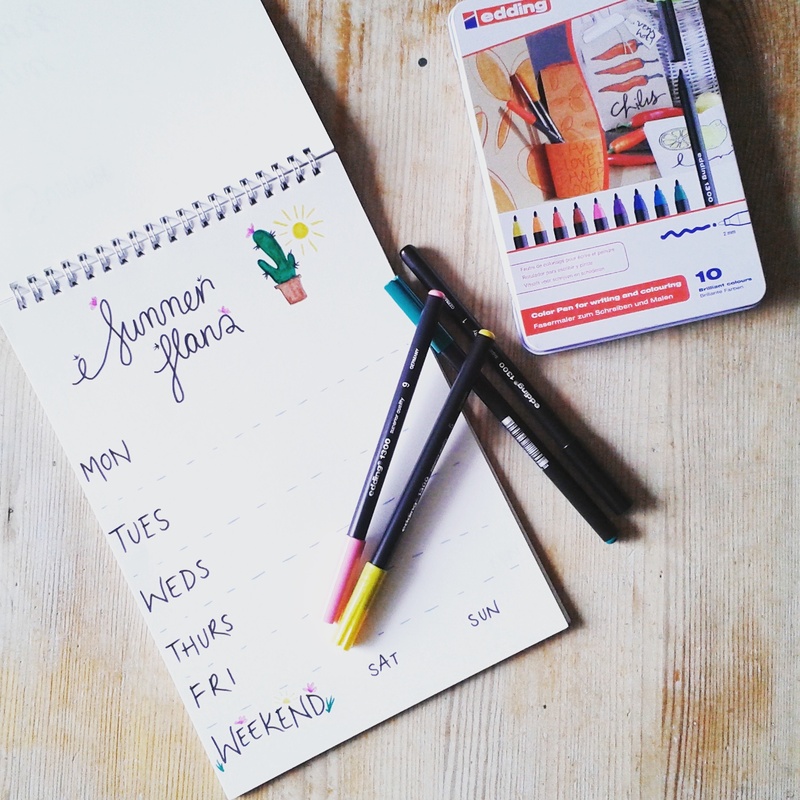 There are loads of free printable scrapbook pages, calendars and to-do lists out there at the moment, and they are a cute way to organise stuff. 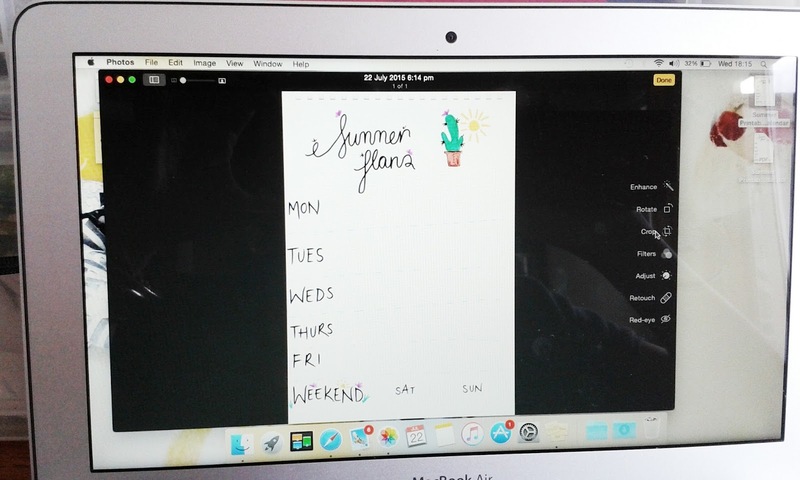 As soon as school was out (less than 30 hours ago as I write), Sam was asking what was happening on what day…over, and over again! 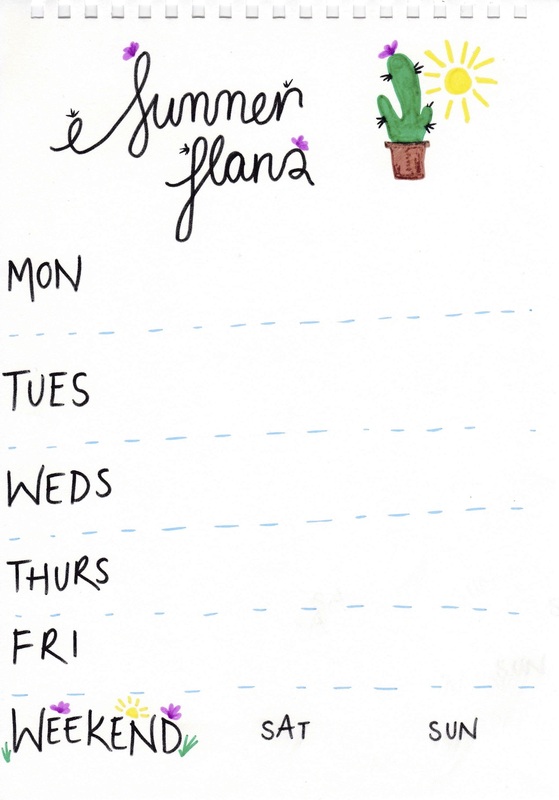 So I sat down and doodled a quick week planner that we could put on the fridge and scribble it all on. 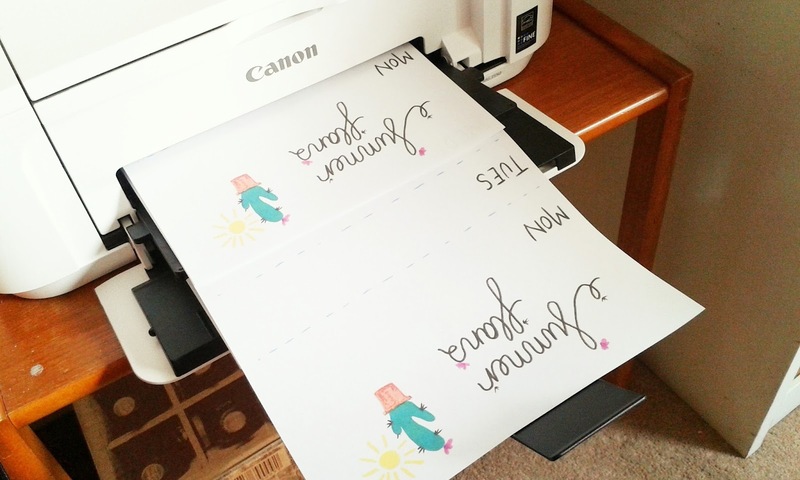 It’s really straight forward- and if you have a printer that scans at home, you can make multiple copies! I used these awesome marker pens by Edding to make a clear image -keep it simple and make sure there is space for doodling. I didn’t have to worry about sizing as my scanner sort of figures that out to print on A4, but if you are doing it all by hand, you might want to make sure it’s the right size to fit in a plastic wallet. Then I scanned the image and tweaked it a little (sharpened the contrast and brightened out any smudges) using the simple edit tools in iPhoto. Printed off 6 copies for the holiday weeks and bunged in a plastic wallet. 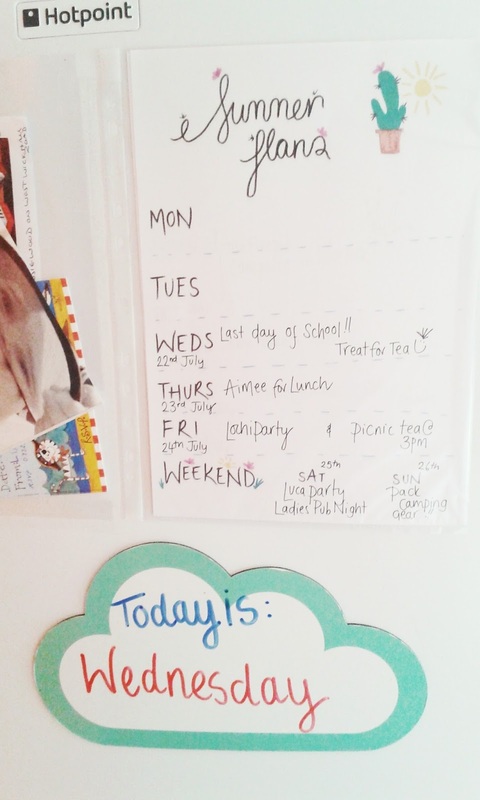 Our planner is stuck on the fridge -Sam can see it and so can Daddy (always handy as he asks me what’s happening too). I’ve also stuck up another plastic pocket next to it to keep all the tickets, pics, labels and invites that we might collect over the summer. At the end, the calendar can be used as a scrapbook for us to remember what happened, sticking in the collected treasures on the right pages. Next Post The Wheels on the Bus go Where?